Yuyuan Road, sandwiched in between shopping malls and tower blocks, is home to a memorial honouring the history of the underground Chinese Communist Party during turbulent times. Liu Changsheng (insert), a leader in the underground Party, lived in a Spanish-style, four-story terrace house from 1946-1949. Liu worked under the guise of a local grocery shop owner and used the building as a secret base for clandestine operations. YUYUAN Road, a single-lane street sandwiched in between shopping malls and tower blocks, is home to a memorial honoring the history of the underground Chinese Communist Party during turbulent times. The memorial, located at the junction with Changde Road, is housed in a Spanish-style, four-story terrace house built in 1916. From 1946-1949, the building was the home of Liu Changsheng, a leader in the underground Party, and a secret base for its clandestine operations. Liu lived in an apartment on the second floor. Zhang Chengzong, the Party secretary of Shanghai, lived one floor above. It’s said a Kuomintang spy who lived next door never uncovered the true identities of Zhang or Liu, who lived under the guise of a local grocery shop owner. Liu’s wife served as look-out when secret meetings were held in the house. Whenever KMT soldiers or any threat appeared on the road, she warned her husband by racheting up the noise of a mahjong game. People in the neighborhood, including KMT agents, came to believe that Liu was just a fat business owner who loved gambling. After liberation in 1949, neighbors were shocked to discover that “Fat Liu” was really a leader in the Party. Liu’s grocery, the Rongtai cigarette shop, was on Changde Road, just a block north of his home. Tobacco displays were used as secret codes that might well have suggested what the next mission was. Secret information was sometimes passed in cigarette packs. Many who appeared to be craving for Hataman cigarette could well have been another underground Party member delivering important messages. The shop was across the street from a KMT police station. The police never suspected that the man they considered a thick-headed northerner, who often gave them a discount on tobacco, was actually a man wanted by authorities for more than 10 years. Liu was sometimes even able to prise secret information from policemen who came to buy cigarettes. 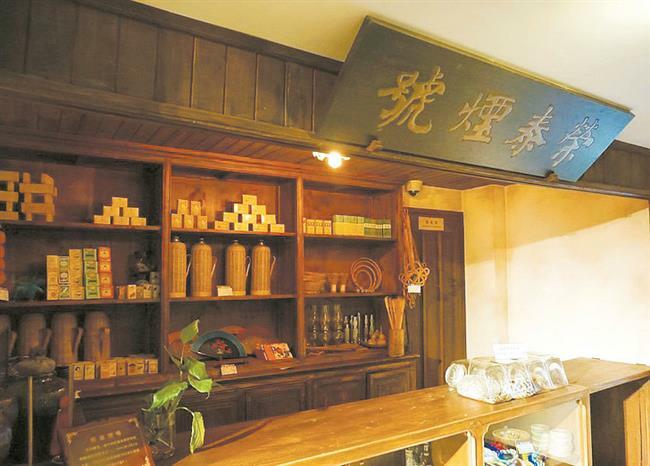 The shop was later demolished but a replica has been built on the first floor of Liu’s former house. On the same floor is a reproduction of a café frequented by left-wing youth and underground Party members. 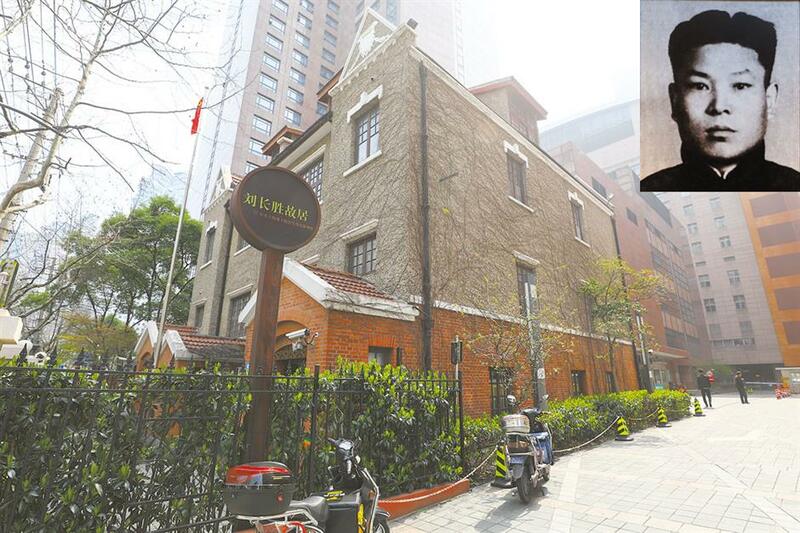 The original cafe became the unofficial headquarters of the League of Left-Wing Writers, an organization that included revolutionary names like the famous writer Lu Xun. The second and third floors of the memorial trace the history of the Communist Party from its founding in 1921 to the founding of the People’s Republic of China in 1949. “Most of the exhibits here were donated by later generations of Party members,” said Jin. For example, Zhang Chengzong’s children donated a whole set of furnishings from the old house. On the third floor of the memorial, visitors can view Zhang’s bedroom, exactly where it was some 70 years ago. Many Party members kept secret their roles in the underground until death. Their children were often surprised to come across the illustrious history of a parent when sifting through belongings. “They should all be remembered by history,” Ma Jie, a history buff, said of the Party heroes as he walked through the memorial.